11 Scott Firefighter Stairclimb. Columbia Center, Seattle, WA. 0600 – 1800 hours PST. Firefighters will climb 1,356 steps, 69 flights, and 788′ vertical elevation up the world’s largest on-air stair climb competition in full combat gear and SCBA. Their message is simple: Climb. Conquer. Cure. Fundraiser for The Leukemia & Lymphoma society – Washington/Alaska Chapter. Back Story | Prescribed fires are great for the environment as they burn off heavy fire fuels, assist the area with rejuvenating food for habitat and many other benefits. Here are some of the Prescribed or RX wildfires that are now registering on our Fire radar. East River TREX 2017 | Sand Lake National Wildlife Refuge | South Dakota | RX fires will be used as a Training program for qualified Wildland Firefighters. 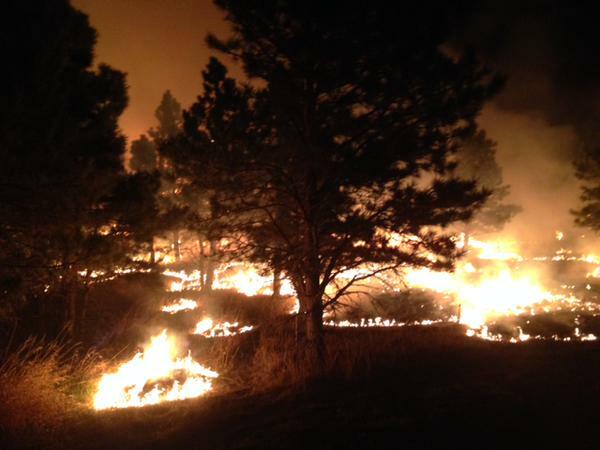 Incident Cooperators include: BIA, BLM, USFWS, National Park Service, USDA Forest Service, ID Dept. of Lands, South Dakota Dept. of Agriculture Wildland Fire, Team Rubicon and The Nature Conservancy. Crone Gulch Fire is 60 acres showing no visible smoke. Lick Creek is 100 acres. May 8, 9, 2017 | Shasta-Trinity NF | CA | The Trinity River Management Unit is planning to implement its fire operations just North of Weaverville – weather permitting. The project area is located approximately ½ mile up Blue Rock Road (34N77). Firefighters plan to burn about 43 acres on Monday and 41 acres on Tuesday. 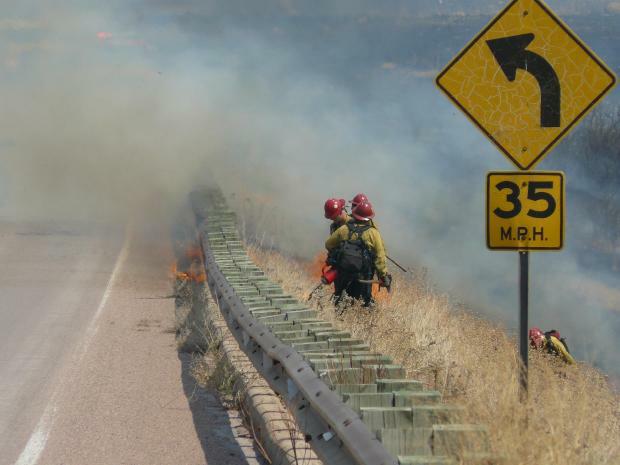 The purpose of the project is to reduce fuel loadings and potential fire behavior during a wildfire and to return fire back into the ecosystem. Ignitions will begin around 10:00 a.m. and last throughout much of the day for both days. Residual smoke will occur throughout the night and for several days after ignitions. May 12, 2017 | Fremont-Winema NF | OR | S Central OR Fire Management Partnership (SCOFMP) treat approximately 915 acres of National Forest System lands on the west side of Chemult this spring using broadcast under-burning. A community meeting has been scheduled for May 11, 2017, from 5-7pm at the Fremont-Winema National Forest Chemult Ranger District Office located at 1301 South G Street, Lakeview, OR 97630. Happy Friday everyone! We know it is the end of the week for some but just another day for others. Whatever Friday means to you today, we wish you lots of fun and sane activities this weekend. Stay safe out there. Here is a Quote of the Day…. Thank you for joining our newest topic of choice to enable you all to get the best training that is being offered to Public Safety members. This information is gleaned from various sources including the web, Fire Departments and additional websites. We will include upcoming training events, conferences and general information. Want to add your even to our Calendar and get some free PR? You can send us your info to nwfireblog@comcast.net or reach us on Facebook. Fires in Vehicles Conference. Baltimore, Maryland. Sponsor: International Association of Arson Investigators. http://www.firesinvehicles.com/en/conference/five2016/Sidor/default.aspx. Vital Signs Conference. Syracuse, NY. http://www.eventsinamerica.com/events/2016-vital-signs-ems-conference/ev5720b296a4624/#.V-nbKvkrLrc NEW! IAEM Annual Conference. Savannah, Georgia. Sponsor: International Association of Emergency Managers. Contact: (703) 538-1795. http://iaemconference.info/2016/. 2017 Medical Disaster Response. Las Vegas, NV. http://www.eventsinamerica.com/events/2017-medical-disaster-response/ev5720cba2abccf/#.V-nc3vkrLrc NEW! Vincent J. Bollon Affiliate Leadership Training Summit (ALTS). Anaheim, CA. http://client.prod.iaff.org/ NEW! 2017 Firemanship Conference. Portland, OR. http://www.firemanshipconference.com/ NEW! Alfred K. Whitehead Legislative Conference. Washington, DC. http://client.prod.iaff.org/ NEW! Wildland Urban Interface (WUI) Conference. Reno, NV. http://www.iafc.org/micrositeWUI/interiorWUIabout.cfm?ItemNumber=7994&navItemNumber=7954 NEW! Fire – Rescue Med (FRM) Conference. Henderson, NV. http://www.iafc.org/micrositeFRMconf/FRMhome.cfm?ItemNumber=8046&utm_source=IAFC_Site&utm_medium=Conferences_Page&utm_campaign=FRM_Conference_Page_Visitors NEW! Maryland State Firemen’s Association (MSFA) – 124th Annual Convention and Conference. Ocean City, MD. http://www.msfa.org/content/conventioninfo/ NEW! Keystone Firefighter Conference. Oaks (King of Prussia) PA. https://www.facebook.com/KeystoneFireFighterConference/ NEW! Firehouse EXPO. Nashville, TN. http://www.firehouseexpo.com/ NEW! Note: All events will be moved over to our Page: “2016-2017 Calendar of Events”. New events will be published and will be added after each post. Thanks for the follow and be safe friends…..
5-6 – Fires in Vehicles Conference. Baltimore, Maryland. Sponsor: International Association of Arson Investigators. http://www.firesinvehicles.com/en/conference/five2016/Sidor/default.aspx. 14-19 – IAEM Annual Conference. Savannah, Georgia. Sponsor: International Association of Emergency Managers. Contact: (703) 538-1795. http://iaemconference.info/2016/. 20-23 – Texas EMS Conference 2016. Kay Bailey Hutchison Convention Center. Dallas, TX. http://www.emsworld.com/event/12162451/texas-ems-conference-2016 NEW! 21-27 – National EMS Week. Town of Wayland, Massachussetts. $73,602 – $95,059 / year. http://www.indeed.com/viewjob?jk=5960fe3ffa914f08&from=recjobs ** Closes 3/31/2016. City of Plymouth, Minnesota. $83,689 – 107,814 / year. http://agency.governmentjobs.com/plymouthmn/default.cfm?action=viewJob&jobID=1392030 ** Closes 4/11/2016, Monday. NEW — > City of Durham, North Carolina. $48,112 – $74,293 / year. http://agency.governmentjobs.com/durhamnc/default.cfm?action=viewJob&jobID=1377773 ** Closes 4/1/2016. University of Merced, California. Fire and Building Safety. http://jobs.ucmerced.edu/n/staff/position.jsf?positionId=6607 ** No Closing Date. NEW — > State of Arkansas. Military Department. Fort Chaffee, Arkansas. $33,861 – $57,514 / year. https://www.ark.org/arstatejobs/index.php?ina_sec_csrf=ccf67ff33bcd2209a1d1769c44771200&ac:show:show_job=1&agencyid=43&jobid=81693 ** No Closing Date. NEW — > City of League City, Texas. $39,034 – $48,793 / year. http://agency.governmentjobs.com/leaguecity/default.cfm?action=viewJob&jobID=1392494 ** Closes 4/8/2016. Skagit County. Mt. Vernon, Washington. Planning and Development Services Department. $52,624 – $66,976 / month. https://www.governmentjobs.com/jobs/1385962/deputy-fire-marshal?utm_source=Indeed&utm_medium=organic&utm_campaign=Indeed ** Closes 4/15/2016. NEW — > City of Homer, Alaska. Temp Position. $21.12 / hour. https://cityofhomerak.applicantpro.com/jobs/361159-25500.html ** Closes 4/6/2016. NEW — > City of Omaha, Nebraska. $72,567.04 – $88,612.16 / year. https://sjobs.brassring.com/TGWebHost/jobdetails.aspx?jobId=2416944&partnerid=25660&siteid=5375 ** Closes 4/11/2016. NEW — > City of Unalaska, Alaska. $26.04 – $27.62 / hour. http://www.indeed.com/viewjob?jk=6050b98f6751880a&q=firefighter&tk=1aestlpfub9fqajh&from=web ** Closes 4/25/2016. NEW — > City of Sacramento, California. $34,40 – $41.82 / hour. http://agency.governmentjobs.com/saccity/default.cfm?action=viewJob&jobID=1329545 ** Closes 4/8/2016. NEW — > City of Pensacola, Florida. https://fl-pensacola.civicplushrms.com/CareerPortal/JobDetail.aspx?enc=QPQDKqwXNuJybHyCBjvzp1VrmMR6pbiP9Svk68/myZwkrz99ozb0CMQLP11IfsFy6JUAAQ5rJoIsJzjcjITVIg== ** Closes 4/8/2016. State of West Virginia. Various Locations Statewide. This is for a Fire Marshal-in Training. $24912 – $46092 / year. http://agency.governmentjobs.com/wv/default.cfm?action=viewJob&jobID=26137 ** Continuous openings. Washington State Patrol. Multiple Locations Statewide. $4340 – $5701 / month. NEW — > City of Hutchinson, Kansas. $48, 022 – $64,600 / year. https://hutchinsonjobs.hyrell.com/UI/Views/Applicant/VirtualStepPositionDetails.aspx?TemplateId=221463&IsAutoRefresh=True&r=Indeed&tzi=Pacific%20Standard%20Time ** No Closing Date. Travis County ESD 2. Pflugerville, Texas. $52,000 / year. http://www.indeed.com/cmp/Travis-County-ESD-No.-2/jobs/Paramedic-Field-Training-Officer-Firefighter-a04399d0a4cdeed3?sjdu=QwrRXKrqZ3CNX5W-O9jEvWRHsaEnBQ0hSEj1n3t_CoL8I-kJO4WWDrxaXVZpuP5Q80zvXX1Iy5pYoUpw_f1j-LL5esOj7vyEi6ZuH8j4kodsPLGv2MreE5vVEdT-3RBj ** Closes 4/7/2016. A Prescribed Fire by the Fire Service on Monday, April 13, 2015, which was geared mainly to reduce fire hazards escaped it’s containment field and became a minor wildfire name “Cold Creek Fire”. Several hours into the 1,000 acre prescribed burn, a fire whirl picked up burning ash taking it outside of its intended perimeter causing it nearby ignite grass and timber. Soon the 1000 acre fire had turned in to its current burned acreage of 6420. 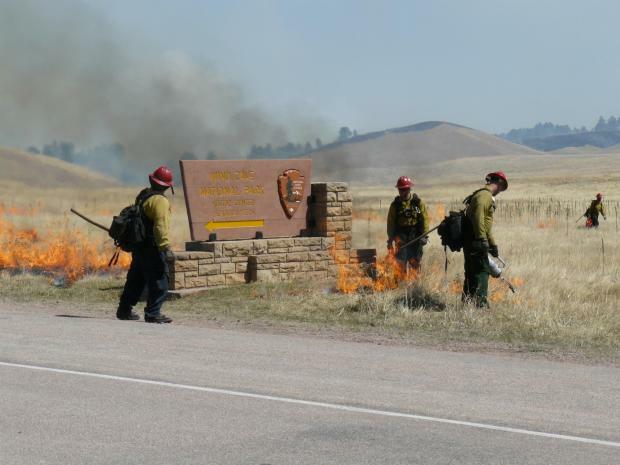 The fire is located in the Keyhole, the southern portion inside the Wind Cave National Park and approximately seven  miles north of Hot Springs in South Dakota. 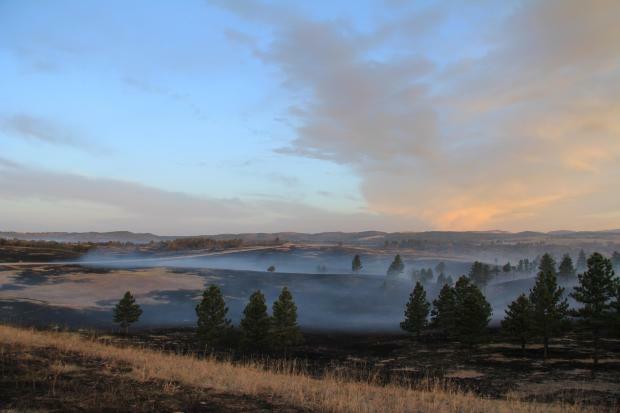 At one time, the fire had threatened three  ranches along the park’s eastern boundary and two  park structures. Firefighters were faced with steep and rugged terrain. Currently, there are no threats and no evacuations at this time. Firefighters have worked extremely hard and have been successful is stopping the fire from gaining any additional acreage. The incident called out firefighters from the local, State and Federal levels with a high number reaching 148 on the fire ground at one time and is down to 70. Containment is now at 90%. A Type 3 IMT had been in charge of the fire with a Type 2 ordered and arriving on scene [Rocky Mountain Team Black]. They felt the team already in place already had a good handle on the incident and acknowledged they were not needed. 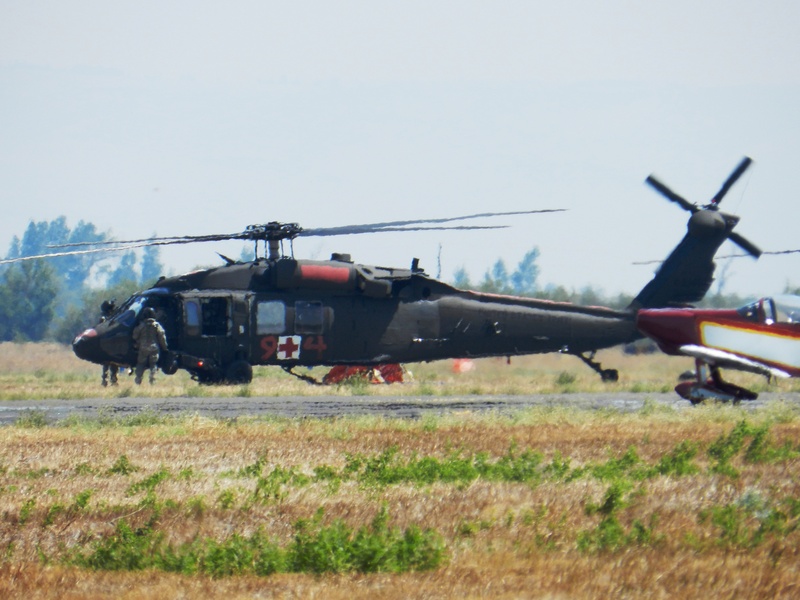 Other resources used were two  South Dakota Air National Guard Blackhawk Helicopters, three  single engine air tankers [SEATS] and two  1 Type 1 helos that dipped from nearby Cold Brook Reservoir near Hot Springs, South Dakota. Several engines and hand crew lines have demobilized on Thursday and have been reassigned to other incidents. Less than one inch of rain has aided firefighters to get a handle on the fire. They are expecting to have 100% containment by noon on Friday. Check out our Social Media Sites & Follow Us! TACTICAL CONFERENCE AND EXPOSITION 2015. 4/28-30. Program Summary: This Northeast regional tactical event includes two full days of hands-on training, networking opportunities, and an exhibition of more than 150 industry vendors presenting the latest in tactical gear and equipment. Location: Verona, NY Website: http://www.nytacticalexpo.com/ Dates: 28-30. 2015 INTERNATIONAL WATER RESCUE TRAIN-THE-TRAINER. 5/14-17. Program Summary: The International Water Rescue Train-the-Trainer Academy is a very intensive and comprehensive 3.5-day training program that includes over 30 contact hours of classroom and practical instruction. Practical session venues include indoor swimming pools, the Presumpscot River (Westbrook, Maine), the Atlantic Ocean (Kennebunkport, Maine), and the Saco River (Saco, Maine). — The Academy is designed to train representatives of Public Safety and Rescue organizations as Lifesaving Resources’ Surface Water Rescue and Swiftwater Instructors. Graduates from this Academy are authorized to conduct nationally/internationally standardized Surface Water Rescue Awareness, Operations, and Technician level courses, as well as Swiftwater Water Rescue Technician courses within their individual department/agency. — These courses prepare participants to respond to incidents in swimming pools, flat-water beaches, lakes, oceans, waterparks, etc., as well as in moving or swift water environments. 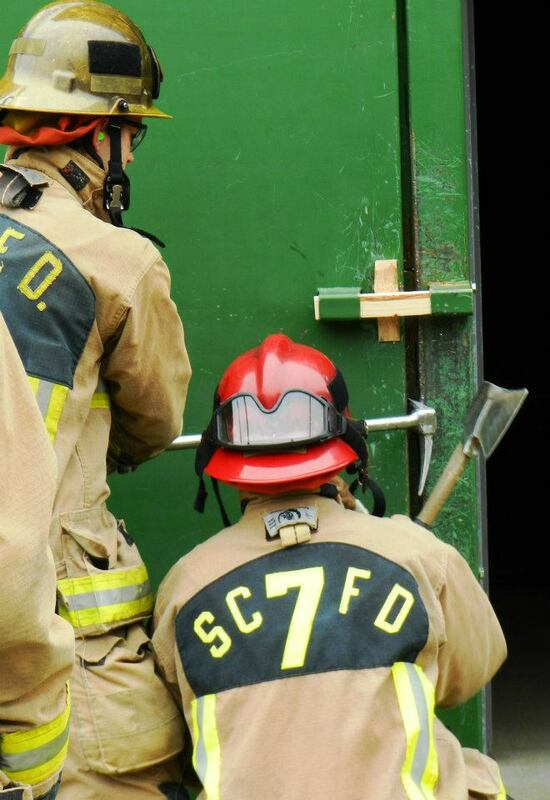 These courses meet and exceed NFPA 1670 Standard for Technical Rescue. Upon successful completion of the Academy, graduates are authorized as Water Rescue Instructors for 3 years. — In order to be eligible for re-authorization, instructors are required to conduct a minimum of 2 courses within their authorization period, of which at least one course must be conducted at the Technician level. — This is a very intense and comprehensive training program and instructor candidates must be dedicated and committed to participate fully with classes conducted daily from 7:30 AM to 10:00 PM. Instructor candidates must be in good physical condition, must have the endorsement to participate from their department/agency Chief or Training Officer, should have prior teaching/leadership experience, and must be proficient swimmers. Hosted by: Lifesaving Resources. Location: Portland, ME. Website: http://www.lifesaving.com/registration/2015-international-water-rescue-train-trainer-academy. Last night around 2120 hours at the Garden State Plaza in Paramus, NJ, police and SWAT units breached the outer doors filling the mall searching for an active shooter. Several shots were reported as the suspect identified as 20-year old Richard Shoop of Teaneck, NJ. As we listened to active police transmissions over the scanner, it was evident this shooter had disregard for those he came into contact with. FBI and Sheriff SWAT teams quickly responded and were on scene searching for him. It was unknown if he was looking for someone in particular or if it was just a guy on a mission to shoot shoppers in the busy mall. This could have been any other day, say Thanksgiving or Christmas and the incident could have turned much deadlier than it did. The shooter would eventually take his own life. He was found this morning around 0300 Hours (NJ time) in an area under heavy construction. No injuries or deaths were reported. It was determined that the shooter was more interested in committing suicide than harming anyone – according to his brother stated through various news sources. “For someone to commit such an act and think that this was all about himself has got it all wrong. Those people who were directly or indirectly involved with this mall incident will have a long recovery to get those images out of their minds. We hope and pray that they will seek out the help they will need and not be traumatized for the rest of their lives.” – TNWB Ed. The mall is expected to be closed all day as police and authorities work to clear the scene and close their case. What to do in case of an Active Shooter situation. Be aware of your situation at all times and any possible dangers. Take note of the two nearest exits in any facility that you visit. If you are in an office – stay there and secure the door. If you are in a hallway – get inside a room and secure the door. CALL 9-1-1 when it is safe to do so. If evacuation is not possible, ﬁnd a place to hide where the active shooter is less likely to ﬁnd you. How to Respond if the Active Shooter is in Your Vicinity. • If you cannot speak, leave the line open and allow the dispatcher to listen.